A survey by NGO Common Cause and Lokniti 21% of the respondents said they considered a policewoman more honest than a policeman, with 14% thinking the other way around. New Delhi: A greater number of Indians believe women police personnel are more honest than their male peers, but fewer choose to approach the ‘weaker gender’ for help, a study on citizen opinion of police has found. According to the survey, 21 per cent of the respondents said they considered a policewoman more honest than a policeman, with 14 per cent thinking the other way around. Forty-three per cent of the respondents said both were equally honest, while 12 per cent said neither. However, only 15 per cent said they would prefer to approach a policewoman for help when in trouble, with the reluctance largely attributed to the belief that women cannot handle a high-intensity crime. Twenty per cent, meanwhile, said they would rather seek out a policeman. Among the remaining, 51 per cent said they would approach both, while 7 per cent said “neither”. Interestingly, 53 per cent of the survey’s male respondents said gender would play no role in the personnel they approached for help, while the figure stood at 48 per cent among women. Policing remains a relatively unpopular career choice among women, who make up just five per cent of the total force. Of India’s 16.7 lakh Indian police personnel, only 84,479 are women. This despite the fact that crime against women has reportedly registered an uptick. According to National Crime Records Bureau (NCRB) data, incidents of crime against women rose from 3,29,243 in 2015 to 3,38,954 in 2016. In the Common Cause-Lokniti survey, 18 per cent of the respondents said the absence of policewomen at stations deterred women and young girls from seeking help, while 19 per cent cited “harassment and use of abusive language” by police. While experience has shown that women can be just as effective as men in the field, they continue to bear the brunt of uneven hiring practices, and societal values that discourage careers that keep women out of the home. “There is a strong belief that combat, by nature, is a male occupation. People believe that the police force is a male domain and therefore unsuitable to the female physique and temperament,” the report said. Asked about the various stereotypes cited to deter women from taking up a career in police, 52 per cent, or one of every two respondents, backed the idea that women lacked the physical strength and aggressive behaviour required for the job. As many as 39 per cent said women ought to prioritise their home instead of joining the force, a proposition rejected by 51 per cent of the respondents. While 41 per cent said they were incapable of handling high-intensity crimes and cases, 51 per cent said inflexible working hours made the job difficult for women. “Respondents were most likely to justify lack of physical strength and inflexible working hours as reasons for women’s unsuitability in the police force. However, they were most likely to not agree that women should give priority to their home over joining the police force,” the report said. “The bias against women suggests that their competence to join the police force is evaluated not in professional terms but weighed against their traditionally suited role as mothers, wives and homemakers,” the report said. The report cited a survey done in 2007 by the research body Commonwealth Human Rights Initiative, which concluded that most women never considered a career in law enforcement due to a misunderstanding of the job’s nature, resistance from family, or the “aggressive images” portrayed in the media. The study also found that 67 per cent of women and 63 per cent of men were in favour of women joining the police force, with the younger more open to the idea than the older respondents. There was a lower acceptance for policing as a career for women in rural areas (24 per cent) than in cities (34 per cent). 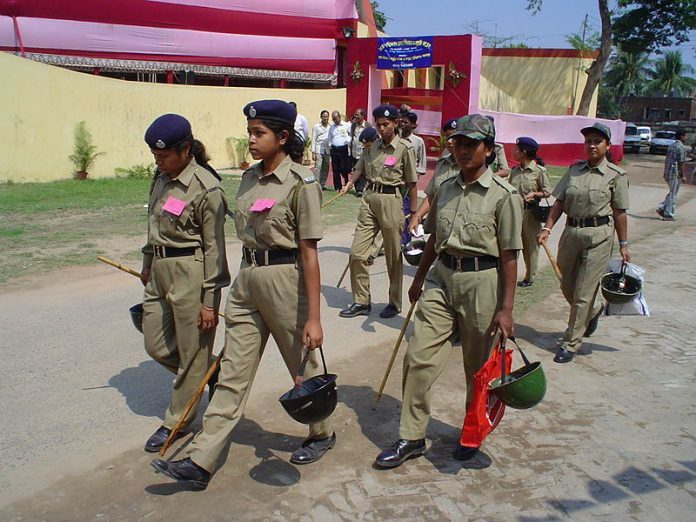 Studying state-wise perceptions, the respondents in Uttarakhand (86 per cent), Haryana (84 per cent) and Maharashtra (83 per cent) were found to be most favourable to women’s career in police, with Karnataka (51 per cent), Uttar Pradesh (48 per cent), and Telangana (42 per cent) occupying the other end of the spectrum.